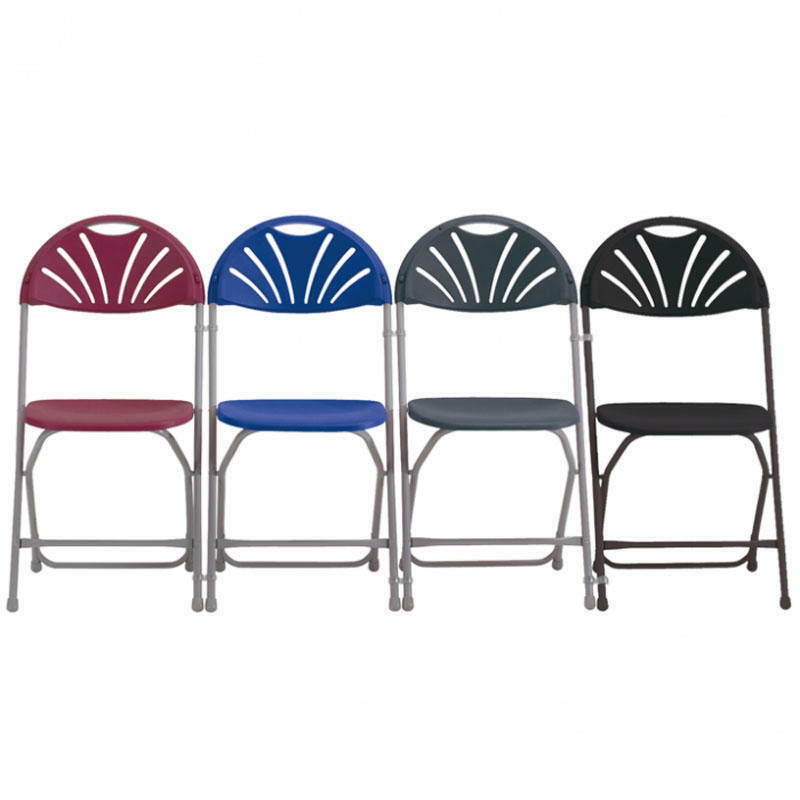 This stylish folding chair with its contoured back offers great comfort. The tall back provides extra support, and the convenient hand hold makes for easy handling. The double rivetted cross-brace not only gives the chair strength, but also prevents the legs from sinking into the ground at outdoor events. Once folded flat, the chairs will interlink and can therefore be safely stacked up to 40 chairs high. Sold in packs of 8, available in 5 colours. Overall size: 820 x 450 x 490mm.